Dream Catchers: The Gorjuss Doll collection lets you fill in the blanks! August 7 is National Doll Day, but for us doll enthusiasts, that is just like any other day on our calendars. It’s akin to the exasperated mom who looks at her brood of offspring and declares, “Every day is children’s day — I don’t need to celebrate it specially on November 20.” However, it is nice to see the object of our shared affections — the doll — given its 24 hours in the sun. When it comes to hobbies and pastimes, the doll still garners its fair share of double takes and headshakes. After all of these years of being purchased and displayed, dolls still make some adults uncomfortable and confused. To tell you the truth, that’s why I really get a kick out of the Gorjuss Collection of dolls from Santoro and Paola Reina. That simple statement connects together four nations of the earth: Scotland for Gorjuss; England for Santoro; Spain for Paola Reina; the good old USA for me. 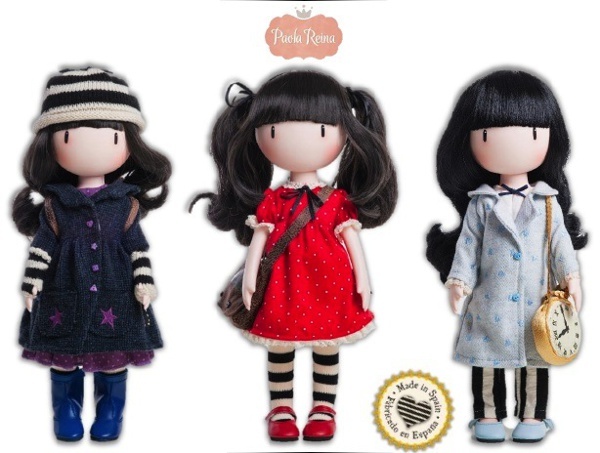 Bouncing beyond just National Doll Day, the Gorjuss sweeties are great examples of a doll’s international clout and cuteness. The creator of the “Gorjuss girl” is Glasgow-based artist Suzanne Woolcott. Suzanne is a darling in the world of licensed artwork and collectibles. She is revered for her creations that are whimsical, folkloric, cutting-edge groovy, and really universal. Her drawings feature a young, dark-haired young lady, with rosy cheeks, wide eyes, and striped socks. The rest of her creation is a blank slate: no nose, no mouth, no eyebrows, and no hint of freckles or other skin adornments. She is an untapped canvas on which the viewer can project any dream, thought, ambition, or feeling she holds. No wonder Woolcott’s illustrations have taken on a life of their own. Her Gorjuss characters — their names change, but their basic non-elements remain the same — have been emblazoned on pocketbooks, makeup bags (that’s ironic), umbrellas, luggage, stationery, and every other odd and end. 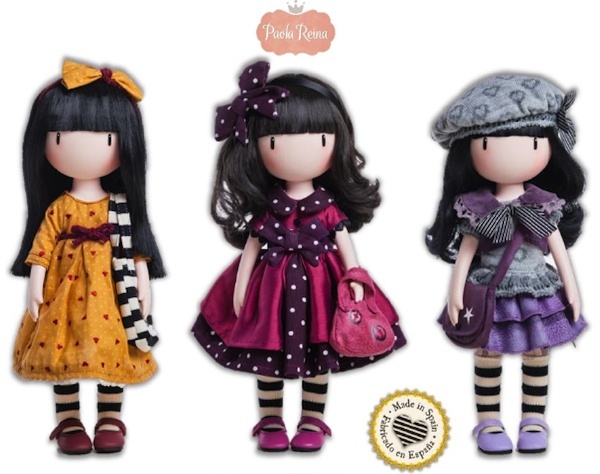 Finally, now in 2016, they’ve been translated into vinyl dolls by Spain’s Paola Reina doll company. Santoro Licensing is the genius firm that made this totally long-overdue partnership come into existence. The initial six dolls in the line all have articulated limbs, boast the pigeon-toed stance of the original artwork models, and wear costumes that reflect Suzanne Woolcott’s imagination. 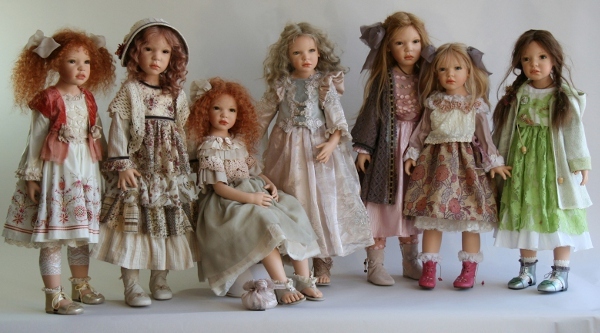 The dolls really do look as if they have emerged straight from Woolcott’s drawing board. Making the whole project even sweeter, each doll is imbued with a special fragrance: rose and honeysuckle. 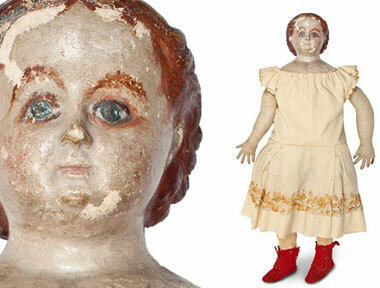 What’s so intriguing about these dolls is that they function as an undisputed collaboration between maker and collector. These dolls are finished; they are made whole. Yet, despite their completion, they are lacking expressions. We, the collectors, give them their personalities and their attitudes. We fill in their moods, and we can match them to our own, create something brand-new and exotic, or add as much literary or cinematic flair as we crave. 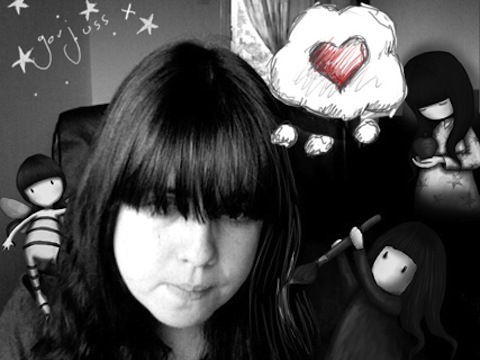 The Gorjuss dolls invite each of us to become a scriptwriter, a director, and a magic maker. As doll collectors, we are always giving our favorites a backstory or a storyline that we wish we might have pursued. 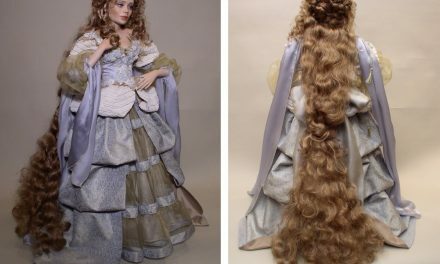 We live vicariously through our fashion dolls — did we ever have waists so small or legs so long! — and our children are born and born again in our selections of reborn babies. Dolls permit all of us to take our innermost fantasies and wishes and give them a tangible and permanent existence. 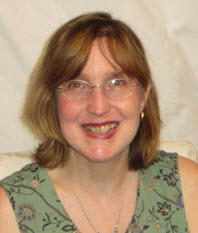 Suzanne Woolcott is definitely onto something with her array of Gorjuss gals, and her worldwide admirers comprise a legion of devoted fans. Now, doll aficionados can line up and join that rarefied group. The tools for falling in love are all there: well-made dolls, interesting and quirky costumes, lush hair, and that extra dab of whimsy. It’s not just a face that only a mother can love — it’s a face that reaches out and asks all collectors to fill in the blank, to provide the final missing piece of the jigsaw puzzle. If this first line of dolls does well, there is talk of larger ones becoming available in 2017. There are also conversations about costuming and additional accessories becoming available for these creations. Whatever is decided, these initial half-dozen are adorable and implorable. Yep, they are imploring you to help complete their identities. That’s a great way to spend National Doll Day — dreaming up a parallel life, dreaming up an alternative biography. It shows that our doll selections are more than just our hobbies — they are also a three-dimensional autobiography! Indulge! 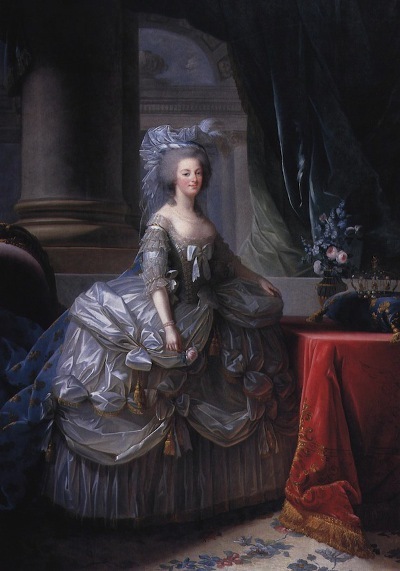 Royal Intrigue: The Secret Behind Dolls, Divas, and the Downfall of Marie Antoinette!